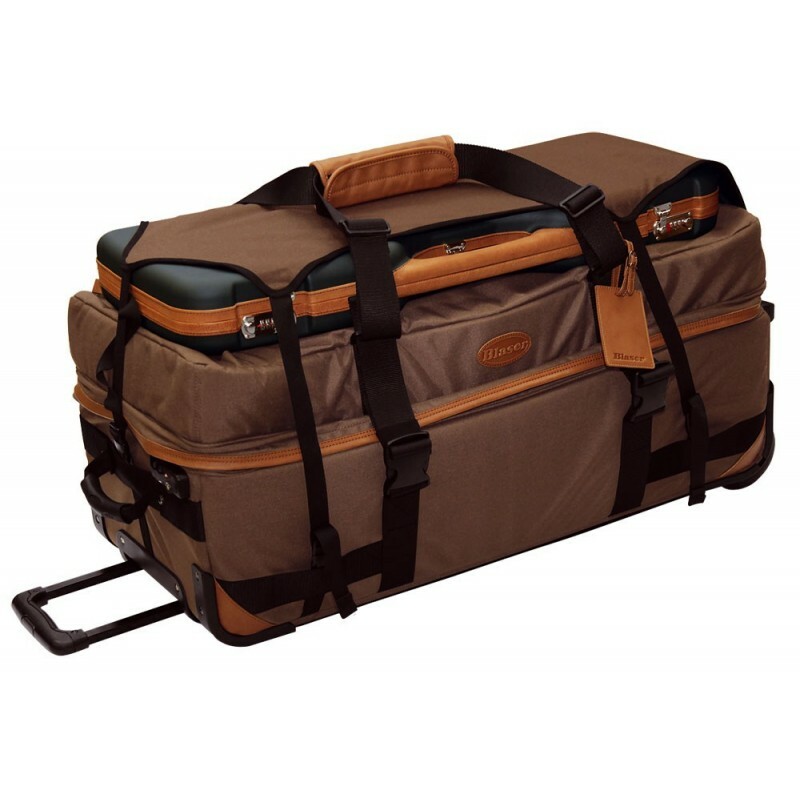 The worldwide tried and tested hunting travel trolley is both practical and attractive at the same time. It is made from premium, extremely resistant Cordura®. Elegant leather applications accomplish its appearance. The thought-out pocket and compartment system offers optimum storage possibilites. This is how your luggage becomes one compact, easy to-transport unit. 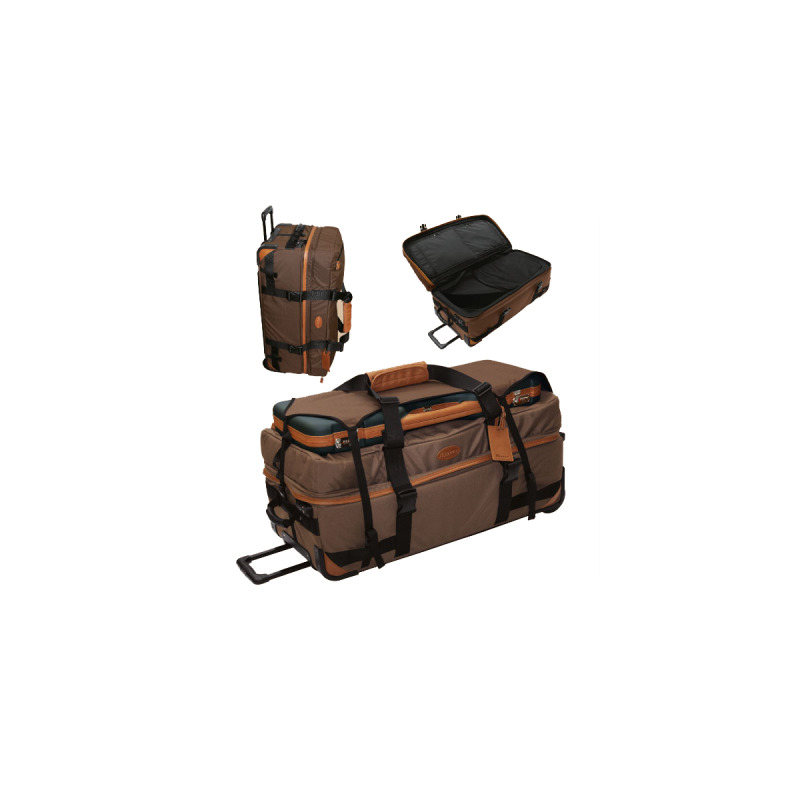 Foldaway telescopic handle, large, ball-bearing wheels, fold-out support pedestal, wide carrying shoulder straps, adjustable in length, carrying handle with rubber reinforcements on the head side, shock-proof buckles. Zippered pockets and document compartment on the inside. Cordura® canvas with five straps which are adjustable in length, to safely fasten the rifle case on top of the trolley. TSA combination lock.